In Force of Habit any emotional, psychological, mental, physical, biological or cognitive behavior is a habit if it is automatic, if it "does itself" without intentional conscious effort. Breathing, heartbeat and blood and lymph circulation, physical wound healing, etc. (the autonomic nervous system and other biological functions) are Type I habits. When they are functioning normally they are not the focus of psychological treatment. Type II habits are the usual therapy presenting symptoms. They include depression, anxiety, phobias, stress and PTSD symptoms, the habit disorders, and sexual problems. We were not born with any Type II habits: we learn them. When Type I habits have become modified and are not functioning normally (as in high blood pressure, the stress disorders, digestive and sleep problems, asthma, allergies, immune disorders and any number of physical and medical problems) they become Type II habits and the focus of psychotherapeutic treatment. Everything we do, whether intentionally or unintentionally, is directed in a unitary fashion by a comprehensive organizing intelligence within us called "Mind" or "the mind." Mind is the totality of our consciousness, or awareness. The two distinct aspects of Mind are the conscious mind and the subconscious mind. Each has discrete and identifiable characteristics and functions. The conscious mind is everything that we are aware that we are aware of. It is waking awareness. It directs all of our conscious intentional activity. We use it to focus our awareness and to accomplish whatever requires an intentional focus of awareness. The subconscious mind contains the knowledge and consciousness that lies outside of our waking awareness. There is constant communication, exchange, and coordination between conscious and subconscious. The subconscious mind is responsible for all of our habits. We may consciously influence our habit life, but we cannot create, dislodge, or trigger specific habits by conscious effort alone. Habits occur at the direction and discretion of the subconscious: they occur only when directed to do so by the subconscious. We do not have control over them in any meaning of the word. They make sense and they are lawful, but they are beyond any logical explanation because the subconscious mind is. "Bad habits" are the habits that cause us distress and that we wish to be rid of. They're the presenting symptoms of our clients. "Good habits" are those automatic behaviors we're happy to have, for example remaining alive while we sleep, having a regular heartbeat and oxygenation, wound healing, freedom from allergies, phobias, digestive and other stress disorders, being well and healthy, having restful sleep, and being able to walk and talk and drive a car, to name a few. Most of what we do at any given time is in large part--or in whole (if you are a psychobiologist)--habitual. That's not hard to believe when you consider the time spent sleeping, doing mindless tasks, driving and walking, and when you realize that you couldn't wake up each day as if it were the first day of your life and be able to function at all. Most of what we do--and everything we do that is in the background of our behavior--has to be assumed, is out of conscious awareness and, therefore, is not subject to direction by the conscious mind. Bad habits are caused by fear, fear is connected directly to our innate, biologically based survival mechanisms (flight or fight), and there is only one kind of fear--the fear of death (the fear of not surviving). Even mild discomfort is a low level experience of fear. Fear rings the danger alert signal in the limbic brain. Bad habits are, therefore, connected to our subconscious mind's primary job, which is to vigilantly and single-mindedly make sure that we survive from one moment to the next. That explains why habits are so resistant to change. Bad habits are in the service of the subconscious mind's "internal security system." Our mind literally does not think we can live without them. Bad habits are traumatagenic in origin. They meet the PTSD diagnostic criteria for overwhelming stressors that caused an adaptive response that is resistant to change. "Conscious and subconscious" is an artificial distinction between two aspects of one indivisible mind. Everyone is whole--even if they don't feel like it. We distinguish between them in order to account for the treatment effect. These "two" aspects of Mind are in constant dialogue: we are always talking to ourselves in one manner or another, using words, emotions, information or images. Our self talk prompts a response that completes the inner dialogue. The FOH definition of hypnosis comes from Jon Connelly, my original hypnotherapy mentor: it is "getting the desired response from the subconscious mind." In this conscious/subconscious mind dialogue think of the conscious mind as "the you who talks to yourself" and of the subconscious mind as "the you that you talk to." Mental health professionals know that self-talk has demonstrable effects on us. It has consequences: it causes an effect. That's what makes it a dialogue. There's you talking to yourself and then there's the response--the effect that comes back to you as the way you subsequently feel. This dialogue is a lynch pin of cognitive therapies: negative self talk feels bad, positive self talk feels better. In hypnotherapy we are deliberately setting out to have the effect, in Force of Habit terms, of getting the subconscious mind to let go of a bad habit. Force of Habit (FOH) theory accounts for the origin, function and tenacity of habits. 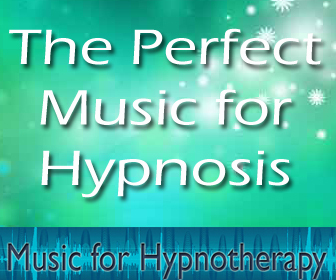 The first job of the hypnotherapist is to convince the client's subconscious mind that the client literally will not die if he clears out his bad habit. His second job is to clear out the bad habit. "Resistance" is the therapist's failure to convince the client's subconscious mind that he will not die if he clears out his bad habit. What fascinates me most about FOH is that it is almost entirely a process of getting rid of something, of unloading the baggage that the client has accumulated, usually in the process of growing up. Hypnotherapy is mostly about letting go. We do not add anything to the client, and the client has mainly to get rid of something in order to accomplish his treatment goal. Starting out I thought hypnotherapy would be at least partly about installing better habits (self-enhancing behaviors and cognitions). But it never has been. As Erikson clearly understood, the client himself is the best one to do the work of finding his own footing once his universe is free of bad habits. 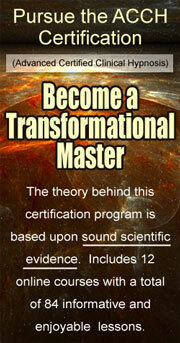 For more information visit www.TranceFormation.us.